Chicago, IL, August 27, 2018 — Pangea Properties, a private Real Estate Investment Trust (REIT), partnered with The Chicago Housing Authority (“CHA”) on Aug. 9 to provide 400 children with backpacks and school supplies. For the 6th year in a row, volunteers from Pangea Properties helped direct 400 elementary-aged CHA children around Brookfield Zoo, distributed backpacks filled with school supplies, and assisted in serving free lunch and snacks. The event took place on Thursday, August 9, from 10:00 am to 3:00 pm. “Our ongoing partnership with CHA has been very rewarding. School supplies can be costly especially for families with more than one child. Being able assist with that burden and send students back to school with all the supplies they need to succeed is something we are happy to invest in,” said Chanelle Cromwell, Programs Director for Pangea Cares, a 501c3 nonprofit organization within Pangea Properties. Once students arrived at the zoo along with their chaperones, they spent the day meeting and learning about the zoo animals and enjoying the dolphin show. The event allowed students the opportunity to get out of the city and interact with nature and wildlife. Their classroom experience was brought to life as they explored what they learned about in school. Backpacks and supplies were then distributed before students headed home for the day. One of Pangea Properties’ main missions is to acquire, rehab, and improve multi-family residential properties in underserved communities with the philosophy that lifting up and supporting the community in the neighborhoods served will also have a direct and positive impact. “The CHA provides affordable housing to more than 60,000 low-income families and our work often overlaps. With similar missions it is an honor to work beside them while trying to improve our communities,” adds Cromwell. Through the Pangea Cares initiative, Pangea works to make meaningful social impacts by tackling three pillars of community service: Food & Nutrition, Education Enrichment, and Community Improvement. The backpack giveaway is one of many events Pangea Cares has participated in this year. 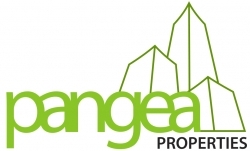 Pangea Properties is a private real estate investment trust (REIT) targeting the distressed residential multi-family real estate market. Pangea was founded in 2008 with the mission to bring service, value and care to its residents. The unique REIT serves as both the property owner and the building manager, utilizing a call center to support the high bar for service and scalability. Today, Pangea has invested over $415 million into 13,000+ apartment units throughout Chicago, Indianapolis and Baltimore, with the goal of continuing to expand within current markets as well as into new markets. Pangea has been highlighted by several media outlets including The Steve Harvey Show, Forbes, CNBC, USA Today, Investor’s Business Daily and Chicago Grid. Pangea has made the annual Inc. 500|5000 list in 2013 through 2016, ranking first overall for the Chicago market and second for the entire real estate industry in 2013. Pangea has won numerous awards including multiple Good Neighbor Awards and has been named a Crain’s Chicago Business Top Job’s Creator as well as a Chicago Tribune Top Workplace several times. For more information, visit Pangea online at www.pangeare.com, www.facebook.com/PangeaRE, www.linkedin.com/company/pangea-properties or on Twitter @PangeaRE.